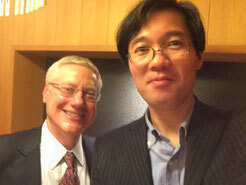 Mr. Michael Hilton, our foreign advisor, came to Japan. He is a US attorney who assisted our US patent application. I gave him a Memorial Plate which is made by one of the inventors of the US patent application. We had a lunch and excited with the topics of road biking which is our common hobby. We received a letter from Mr. Masato SUZUKI attending to Mr. Masahiro SHINGU who is patent attorney in charge. Mr. SUZUKI is a 3rd grade high school student in Nagano Technical High School in Nagano prefecture and an inventor of the invention "Wheel and Vehicle" filed on the other day. We received a case of an invention relating to an umbrella from Ms. Chieri KUSANO. She is a 3rd grade student of Higashita elementary school in Suginami-ku, Tokyo. This invention can prevent a clothes from wetting even if it is under heavy rain. We asked Mr. Yoshiyuki MACHIDA, patent attorney, to prepare necessary documents. We filed a patent application for the invention "Wheel and Vehicle" made by Mr. Masato SUZUKI, 3rd grade high school student in Nagano Technical High School in Nagano prefecture. This invention relates to a tire used for an Economy Running Race Vehicle. This invention can reduce puncture of the tire without increasing weight thereof (No. 2017-179642, filed on September 20, 2107). With regard to the US patent application to which the Office Action has been noticed, a Response has been filed. An Office Action has been noticed for the US patent application filed by high school students. This Office Action states that the patent application should be rejected since relevant prior arts have been found. Mr. Atsushi HAYASHI, teacher for the students, strongly wishes responding to the Office Action. A response to be filed was prepared by Mr. Takahiko YANARI, patent attorney. Mr. YANARI has drafted the Japanese patent application corresponding to this US patent application. In addition, Mr. Michael HILTON, US patent attorney, helps us to file the response before U.S.P.T.O with extremely low cost. We received a case of an invention relating to a tube for tire from 3rd year high school student, Mr. Masato SUZUKI, in Nagano Prefecture. The invention intends to avoid puncture by slight modification. We asked Mr. Masahiro SHINGU, patent attorney, to prepare necessary documents. We received a financial support from 6 persons, Mr. Yuta INOUE, Mr. Yuma ISAWA, Mr. Tatsunari KITAJIMA, Mr. Santiago NOGUCHI, Mr. Kazuki FUJIKAWA and Mr. Atsushi HAYASHI. They are graduates and teacher of Komagane Technical High School in Nagano prefecture. Our project assisted filing patent applications in Japan and U.S.A. for the invention, “A CONTAINER WASHING APPARATUS” developed by them. They graduated in 2015 and are working in each company. They gave us the financial support from their salaries. In addition, we received Memorial Plates on which all of participants are indicated. We really appreciate their solicitude. Our project assisted filing a patent application for the invention of “Pen Case” developed by Mr. Ryota TAKABAYASHI (No. 2017-025486　Feburuary. 15, 2017). He is second year student in Tsukuba City Azuma Elementary School, in Ibaragi Pref. The patent application documents have been drafted by Patent Attorney, Mr. Motohiro BABA. In this invention, a textbook can be leaned on the pen case so as to widen usable area of top of a desk in school. He received a Mayer Tsukuba City Award in 18th Japan Junior Invention Exhibition. Last year, our project assisted filing a patent application (2016-228343) for the invention relating to a "Smoking Cooker" developed by Mr. Satsuki KUBO, third year grade in Nagano Technical High School　in Nagano prefecture. He and his classmates made and sold about 100 sets of the smoking cooker, and donated a profit (approx. US$ 870) for victims of the Kumamoto Earthquake. We received a letter from Mr. KUBO attending to the patent attorney in charge. We filed a patent application of a deformable table ware (Application No. 2016-224595, filed on November 18, 2016) made by Ms. Mai TORII, she is a elementary school student. This invention can prevent the table wear from being blown away by the wind. We received a letter from Ms. TORII attending to the patent attorney in charge. We filed a patent application of a Nail Tip Guard (Application No. 2016-210061) developed by Mr. Kazuki SOUDA, 3rd year student in Nagano Technical High-School in Nagano Pref. This invention intends to avoid injury with the nail tip by covering the tip of the nail penetrating a thin wall. We received a letter from Mr. SOUDA attending to the patent attorney in charge. Children Invention Projects has been shown in a TV news program of the Nihon Television. On air, it was commented that the government fee of 14000 yen (approx. US$140) is required, however, our project also incurs the government fee. We held a workshop in Nagano Technical High School in Nagano prefecture. In the workshop, students focused on social problems and developed inventions for overcoming the problem. Mr. Masahiro SHINGU, patent attorney, joined our project as a cooperative patent attorney. We received a case of an invention relating to construction from high school student in Nagano Pref. The invention intends to avoid injury in a building or a house. We asked Mr. Katsuhisa AKUTSU Katsuhisa, patent attorney, to draft necessary documents. We received a case of an invention relating to a Smoking Cooker from high school student in Nagano prefcture. I heard that it can make delicious smoked food. We asked Ms. Naoko OHKURA, patent attorney, to draft necessary documents. The U.S. patent application assisted by our project has been published. The 4th patent application assisted by our project has been published. We received a case from an elementary school girl. The invention is a paper dish used for BBQ which does not get blown away by the wind. We asked Ms. Hisako NOZAKI, patent attorney, to draft necessary documents. Children Invention Projects, and Ms. Fusae TAMARI and Mr. Koichiro OHKURA were shown in the magazine of the Japan Patent Attorney Association, named "PATENT". They are cooperative patent attorneys of our project. We filed a patent application of the invention "Laundry Apparatus" made by Ms. Mika HORAGUCHI,Ms. Hoshina FURUKAWA and Jyunya KOIKE, Elementary School 3rd grade students. We received a case of the invention made by Junior high school student in Hokkaido (North end of Japan). His house is shrine and his idea is specialized for shrine. We asked Mr. Makoto WATANABE, patent attorney, to draft necessary documents. 3rd patent application assisted by our project has been published. Second patent application assisted by our project have been published. First patent application assisted by our project have been published. Children Invention Projects was shown in a little bit on the morning news TV program of the national broadcasting station (NHK). We filed a patent application of the invention "Laundry Apparatus" made by Ms. Mika HORAGUCHI, Elementary School 3rd grade student. An article of the US patent application assisted by our project has been shown in the SHINANO MAINICHI newspaper dated February 25, 2016. Our project has filed first US patent application on January 13, 2016. The invention is made by high school students in Nagano prefecture. This application could be achieved with assistance by Mr. Michael Hilton and Ms. Dunaway, US patent attorney and his secretary. We are not sure as to whether any Japanese high school students have filed US patent application. We received two cases of the inventions made by 3rd grade elementary school students. It is a laundry pole. We asked Mr. Koichiro OHKURA, patent attorney, to draft patent application documents. Mr. Yoshiyuki MACHIDA, patent attorney, joined our project as a cooperative patent attorney. We received a case of an invention made by 3rd grade elementary school student through the general incorporated association "KOTAENONAI GAKKOU". It is an equipment for easily removing bone from a fish body. We asked Ms. Fusae TAMARI, patent attorney, to draft necessary documents. Mr. Kazuya USUI, patent attorney, joined our project as the cooperative patent attorney. He helps us by reviewing an English translation of the patent application for U.S.A. which we are currently preparing. We visited the Komagane Technical High School in Nagano prefecture, and held a workshop regarding intellectual property. We would appreciate teacher's supports. The 4th patent application assisted by our project has been filed. This is an invention relating a beverage bottle cleaning apparatus developed by high school students. We asked Mr. Takahiko YANARI, patent attorney, to draft necessary documents. This invention intends to simplify the structure of the cleaning apparatus. We will consider possibility of outbound application for USA. We visited the elementary school in Miyagi Pref. at November. A patent application for the invention created by students there has been filed yesterday. This invention can determine prowler then alert by a buzzer and notice to a police station. Trademark of "Children Invention Projects" has been registered! Article regarding the invention by the high school students in Nagano Prefecture has been published on SHINANO MAINICHI NEWSPAPER dated November 21, today. Children Invention Projects assisted their patent application. 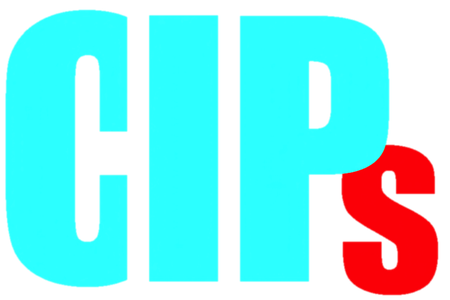 CIPs is introduced in the article. We visited an event relating to invention held in an elementary school in Miyagi Pref. Children could create many of unique ideas. We intend to file a patent application for one of the ideas. Mr. Michael HILTON, US Attorney at Law, will support our project as an adviser for a patent application in U.S.A.
MEDICOM JAPAN became our supporter. MEDICOM is a manufacturer of medical goods such as a medical mask and gloves etc. Mr. Koichiro OHKURA, patent attorney, became a backup attorney of our project. He will be indicated as a representative attorney on an patent application document by our project. The YouTube movie of the wheelbarrow invented by the high school students in 2001 has been linked on the ”Story" page, which is a trigger of this project. Mr. Takahiko YANARI, patent attorney, drafted a application document of the 3rd trial case and it was sent to the inventors, high school students. Mr. Yukio KANEGAE, patent attorney, drafted a application document of the 2nd trial case and it was sent to the inventors, high school students. I, Organizer, Kosaku YAMAZAKI drafted a application document of the 1st trial case and sent it to high school students as inventors. Mr. Yukio KANEGAE, Mr. Takahiko YANARI and Kosaku YAMAZAKI (organizer) started drafting the trial cases. Mr. Yuji HAYAKAWA, patent attorney, joined our project as a cooperative patent attorney. Mr. Motohiro BABA, patent attorney, joined our project as our cooperative patent attorney. We will set up a page in this website for introducing our supporter, companies, patent firms and law firms, etc. We received three trial cases from the technical high school. Mr. Thomas SCHUSTER, European Patent Attorney (Germany), will support our project as an adviser for a patent application in Europe. Mr. Osamu HOSHINO and Mr. Ryota SUEMATSU, patent attorney, joined our project as our cooperative patent attorneys. Mr. Hayato NAMBA, attorney at law, will support our project as a legal adviser. Mr. Shingo NISHIDE, patent attorney, joined our project our cooperative patent attorney. Mr. Akihiko NAKASA became our supporter. Mr. Norio OHMORI and Mr. Katsuhisa AKUTSU joined our project as cooperative patent attorneys. Patent Attorneys, Mr. Yukio KANEGAE, Mr. Takahiko YANARI, Mr. Makoto WATANABE, Mr. Koichiro OHKURA, Ms. Fusae TAMARI, Ms. Naoko OHKURA, Mr. Kouichi KUSHIDA, Ms. Hisako NOZAKI and Ms. Yukiko KAMIJO joined our project as cooperative patent attorneys. Mr. Makoto WATANABE became our supporter.